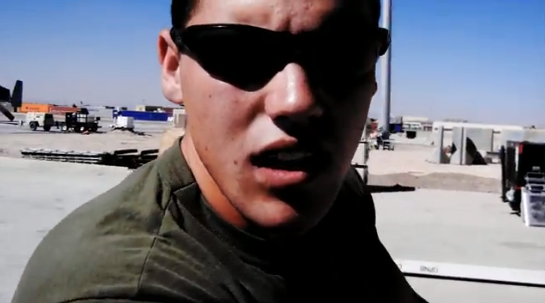 The U.S. Marines from 266 Rein and HMLA 169 got down for a music video they shot “somewhere deep in the heart of Afghanistan” to the sounds of Britney Spears’ Hold It Against Me. It awesome to see them having a good time out there in the middle of the hellish life they endure. THANK YOU FOR ALL THAT YOU DO. YOUR SACRIFICE IS OUR SAFETY.